In honor of the late Leonard Bernstein’s 100th birthday, the Massachusetts music venue Tanglewood dedicated its entire 2018 season to the iconic composer, conductor, performer, educator, and humanitarian. 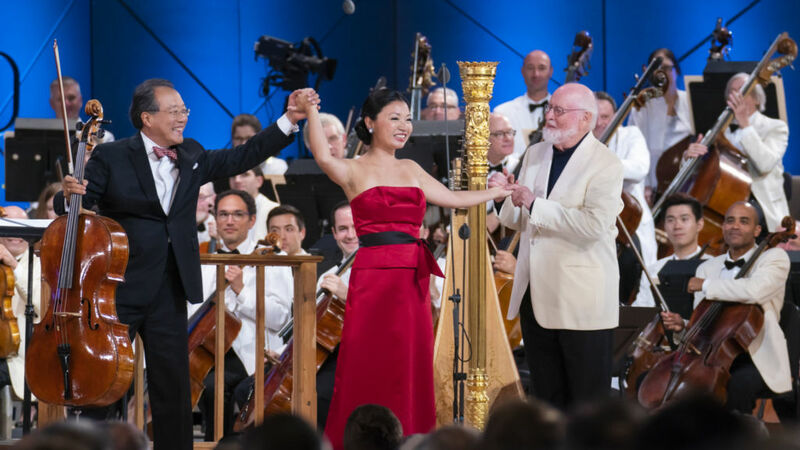 The festivities culminated on August 25, Bernstein’s birthday, with a sold-out, star-studded gala concert — and Great Performances was there to capture every memorable performance and moment to bring the occasion to public television audiences across the country. Leonard Bernstein Centennial Celebration at Tanglewood premiered Friday, December 28 at 9 p.m. on THIRTEEN and is streaming now. 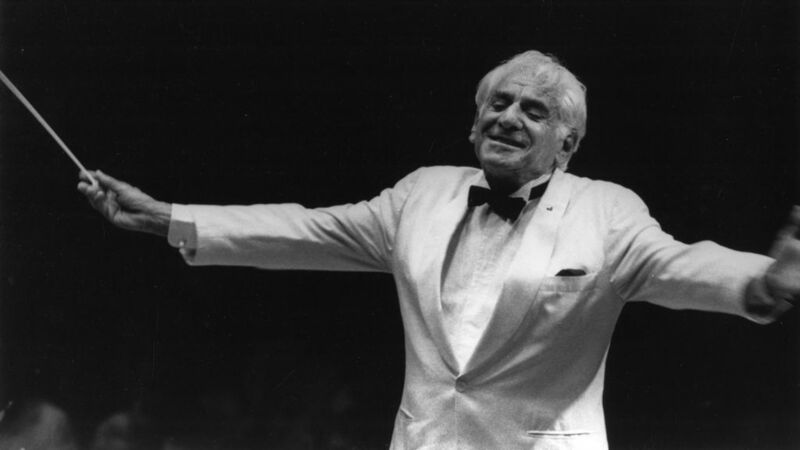 Leonard Bernstein conducts the BSO in 1981 at Tanglewood. Photo: Walter H. Scott. 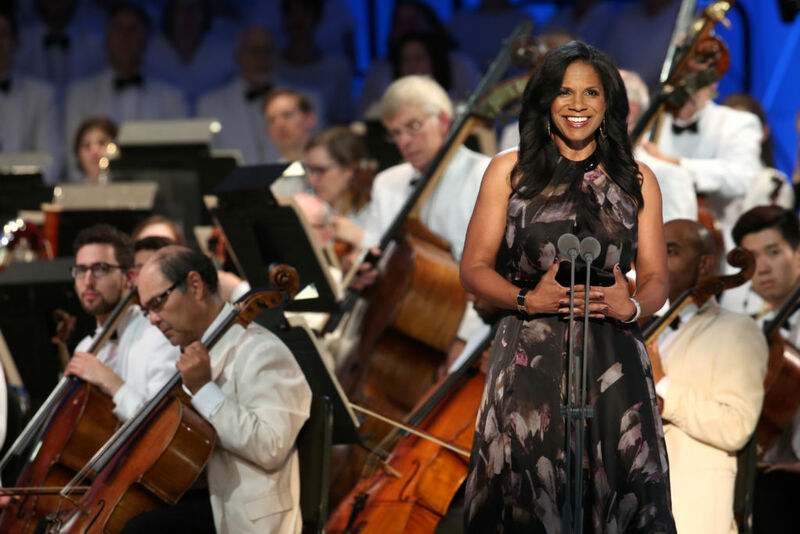 Join host Audra McDonald and some of the world’s leading musicians and performers from opera, classical, and musical theater for The Bernstein Centennial Celebration at Tanglewood and enjoy a front-row seat to this historic concert. The special illuminates Bernstein’s multi-faceted life and career, from his phenomenal talent as a composer to his generosity in mentoring other composers and musicians, his work as an educator who inspired generations of music lovers around the globe, and his role as a driving musical force at Tanglewood — the famed summer home of the Boston Symphony Orchestra. The Tanglewood celebration in the Berkshire Hills of western Massachusetts was just one of 3,500 Bernstein centennial events worldwide. The program celebrates Bernstein as a composer and as a conductor, featuring two selections by Gustav Mahler, one of Bernstein’s favorite composers. The moving Finale from Mahler’s Symphony No. 2, Resurrection, is what Bernstein conducted in a nationally-televised performance with the New York Philharmonic following President John F. Kennedy’s assassination. Concert conductors Andris Nelsons, Keith Lockhart, John Williams, and Michael Tilson Thomas lead an incredible orchestra featuring musicians from some of the organizations most important to Bernstein. Joining the Boston Symphony Orchestra are performers from the New York Philharmonic, Vienna Philharmonic Orchestra, Israel Philharmonic Orchestra, Tanglewood Music Center Orchestra, and more. 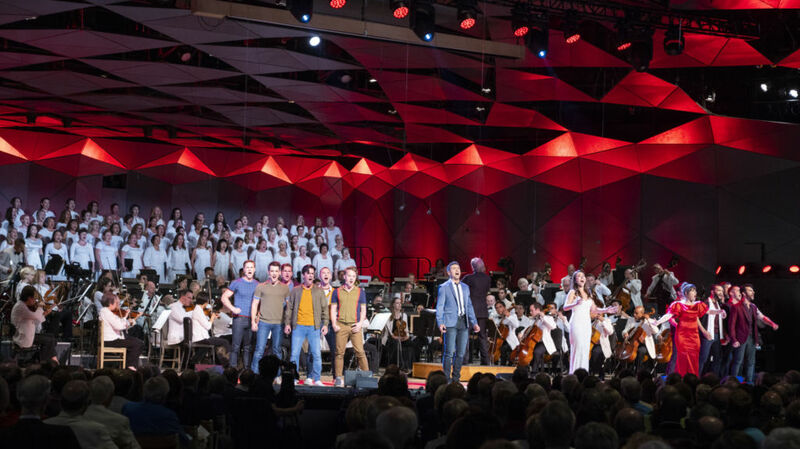 World-renowned classical music artists Midori, Thomas Hampson, Isabel Leonard, Yo-Yo Ma, Kian Soltani, Nadine Sierra, and Susan Graham also take to the stage, along with Broadway stars Tony Yazbeck (On the Town) and Jessica Vosk (Wicked), and The Tanglewood Festival Chorus. Midori, violin. Midori first rose to prominence after performing this piece at Tanglewood in the 1980s with Bernstein on the podium. Leonard Bernstein’s fifty-year association with the Boston Symphony Orchestra (BSO) and Tanglewood began in the summer of 1940, when he became a member of Serge Koussevitzky’s first conducting class at the new Berkshire Music Center, in part thanks to a written recommendation from fellow New Yorker and composer Aaron Copland. In a letter to Koussevitzky – who became a mentor and great friend of Bernstein’s over the next 10 years – Bernstein described that summer as “the happiest and most productive of my life.” He would go on to become Koussevitzky’s assistant at Tanglewood beginning in 1942, and would return virtually every summer of his life thereafter to work with both the Boston Symphony and Tanglewood Music Center orchestras. Bernstein’s time as a student at Tanglewood played an integral role preparing him for his first big break in 1943, when, at age 25, he stepped in for Bruno Walter in a nationally broadcast concert with the New York Philharmonic. He made his BSO debut the following winter in February 1944, leading his own Symphony No. 1, Jeremiah, and Copland’s El México. Following many decades of major accomplishments and an undeniable impact in the music world, in 1988, Leonard Bernstein turned 70 and Tanglewood threw a four-hour concert/birthday party, Bernstein at 70!, that was aired on PBS’s Great Performances, was hosted by Beverly Sills, and featured a star-studded line-up. Bernstein made his final Tanglewood appearances just two years later, on August 29, 1990, leading the BSO in a dramatic performance of Beethoven’s Seventh Symphony as well as the “Four Sea Interludes” from Peter Grimes for what would become his final appearance before his death on October 14, 1990. 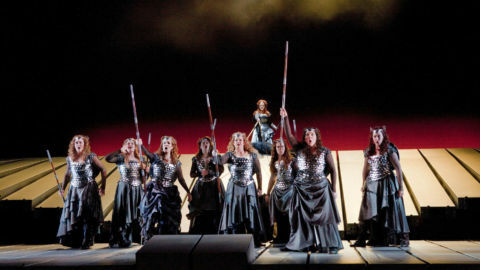 At Tanglewood and with the BSO, Bernstein lead some of the most important performances in 20th century musical history, including the first American performance of Benjamin Britten’s opera Peter Grimes (commissioned by Koussevitzky), and the world premiere performance of Olivier Messiaen’s Turangalîla Symphony (commissioned by the BSO). In 1951, after Koussevitzky’s death, Bernstein headed up the orchestral and conducting programs at Tanglewood, where he remained active as a conductor and teacher for the next 40 years; he wore a pair of Koussevitzky’s cufflinks at every concert he conducted, and ritually kissed them before entering the stage for each performance. Bernstein composed two works for the Boston Symphony Orchestra: his Symphony No. 3, Kaddish, commissioned for the orchestra’s 75th anniversary and given its American premiere by the BSO in 1964; and his Divertimento, a BSO centennial commissioned that was premiered in September 1980. The BSO also gave the world premiere performance of Bernstein’s Symphony No. 2, Age of Anxiety (dedicated to Koussevitzky), with the composer as piano soloist; the first concert performance of his suite from his only film score, On the Waterfront; and the American premieres of his Serenade (after Plato’s Symposium) and Halil. For a more in depth history of Leonard Bernstein’s relationship with the BSO and Tanglewood, click here. With his outsized personality, dramatic conducting style, and passion for performing and teaching, Leonard Bernstein was born for television stardom. 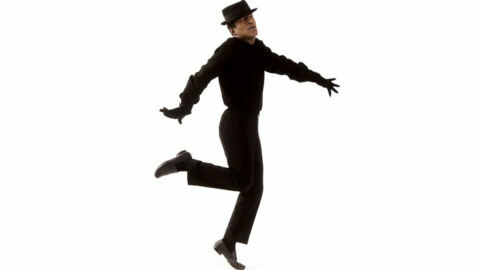 His association with Great Performances dates back to the series’ first full season in 1973-74, when Mass became the first music program the series aired. In fact, Bernstein appeared on Great Performances more than any other star, and the series won its first Emmy Award for Bernstein and the New York Philharmonic, which aired in 1975. Leonard Bernstein Centennial Celebration at Tanglewood will be available to stream the following day via the Great Performances website and the THIRTEEN Explore apps. 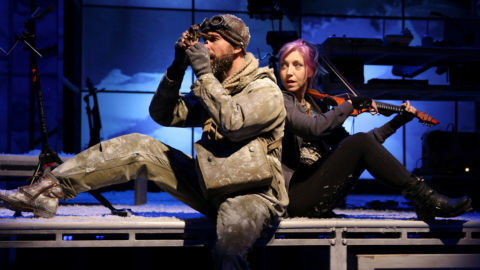 Join the conversation on Facebook and Twitter (@GPerfPBS) using the hashtag #GreatPerformancesPBS.